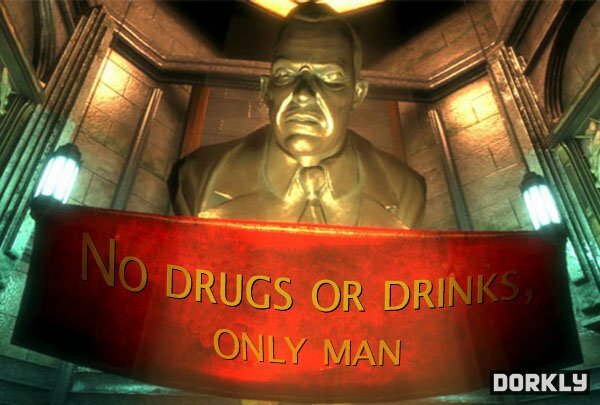 BioShock's Andrew Ryan Tells Kids: "Say Nope to Dope"
An artist has depicted what a set of anti-drug posters would look like in the city of Rapture. In many schools, there's no more clear message to kids from teachers and various organizations than that drugs are bad. This message manifests itself in various forms, including posters in the halls. 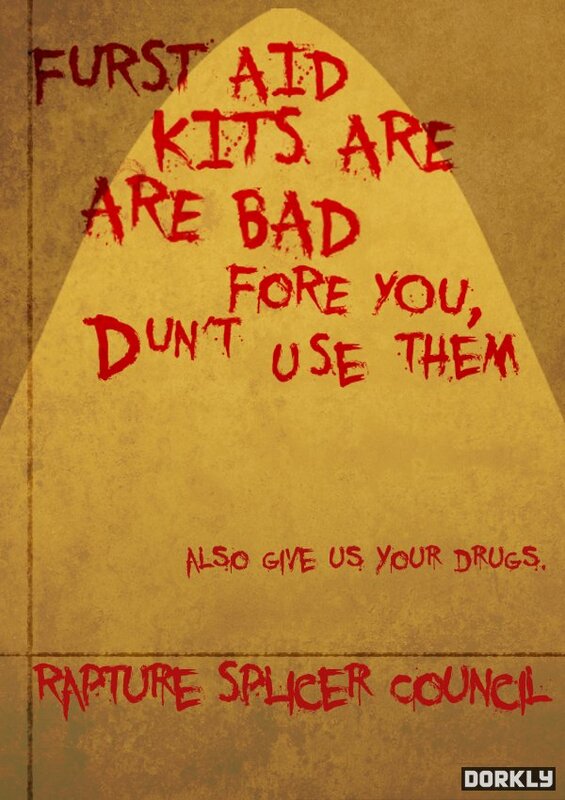 Artist Julia Lepetit has spiced up these anti-drug posters with a BioShock theme, re-imagining what they might be like on the walls of Rapture. In Lepitit's work, featured on Dorkly, the typical phrase of "say no to drugs" becomes much tougher to deny if you're of a certain kind of upbringing. 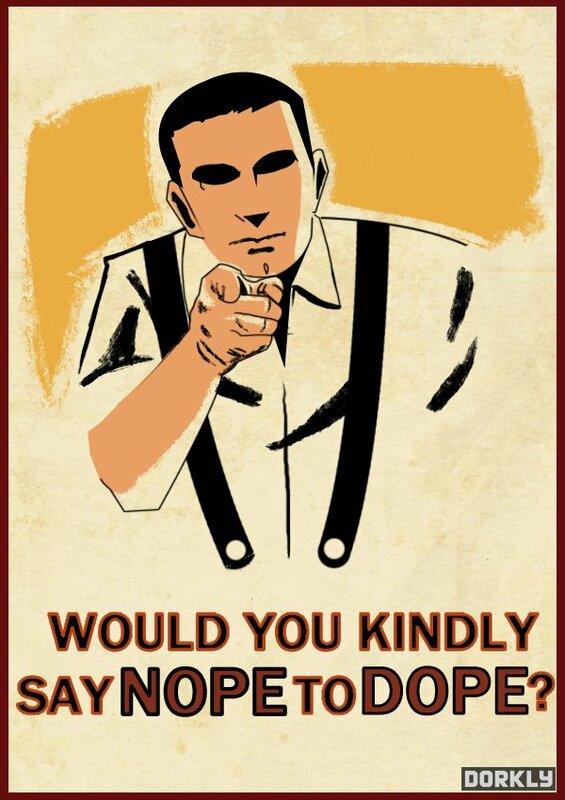 Instead, Andrew Ryan asks: "Would you kindly say nope to dope?" 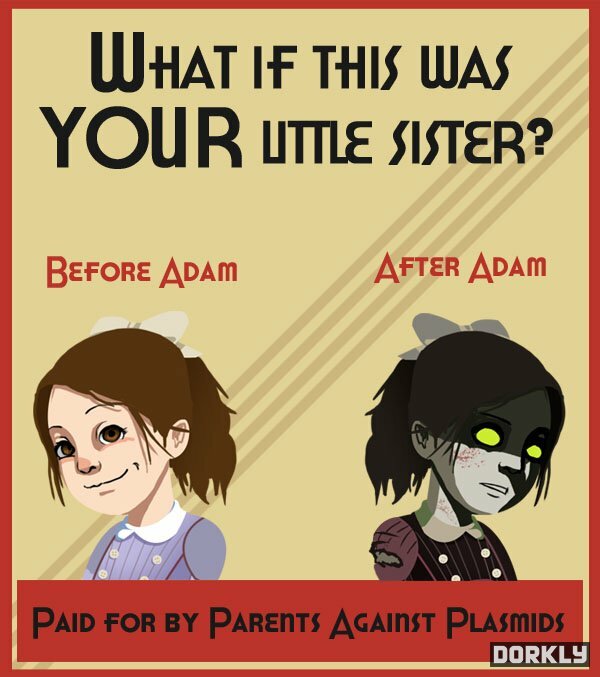 Her campaign also uses scare tactics, showing kids the negative aspects of getting hooked on plasmids, such as having hands covered in swarms of bees. 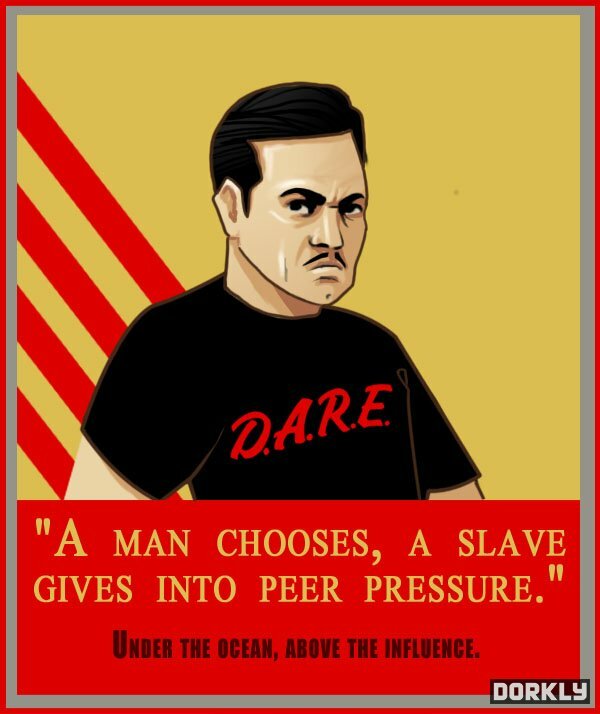 Further, it warns kids of peer pressure, with one poster saying: "A man chooses, a slave gives in to peer pressure." Andrew Ryan looks pretty slick in a D.A.R.E. t-shirt. The only poster I wouldn't put up in my local elementary school is the one written in blood by splicers. That might not go over so well with parents. The rest, however, feature a strong message. 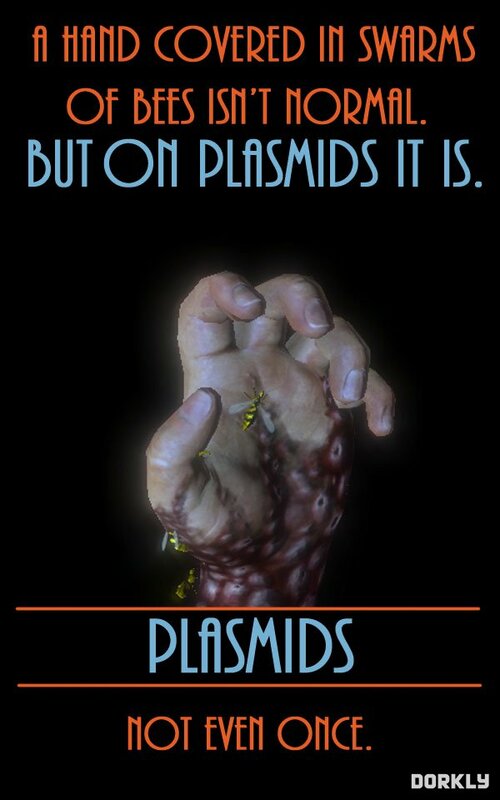 Don't do drugs, or plasmids. Not even once.